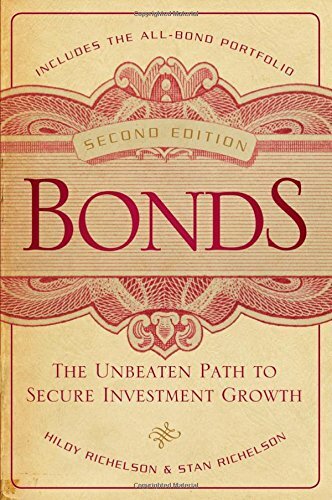 In Bonds: The Unbeaten Path to Secure Investment Growth,Second Edition, the fully revised and updated edition of theclassic guide to demystifying the bonds market, veteran investorhusband and wife team Hildy and Stan Richelson expose the myth ofstocks' superior investment returns and propose an all-bondportfolio as a sure-footed strategy that will ensure positivereturns. Designed to educate novice and sophisticated investorsalike, as well as to serve as a tool for financial advisers, thebook explains why and when bonds can be the right choice. Casestudies, detailed bond strategies, and a financial planningoverview bring home the value of bonds in achieving financialgoals. Presenting a broad spectrum of bond-investment options, anddescribing how to purchase bonds at the best prices, the book showshow to make real money by investing in bonds. The strategiespresented here are designed to help the reader determine how to usebonds to take control of their own financial destiny. With more bond options available than ever before, Bondscontinues to be a must-have for anyone looking to understand theinvestment opportunities available to them.